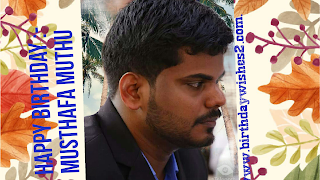 Happy birthday Dear Musthafa Muthu - birthdaywishes2- Birthday wishes sms,birthday wishes images,,special birthday. 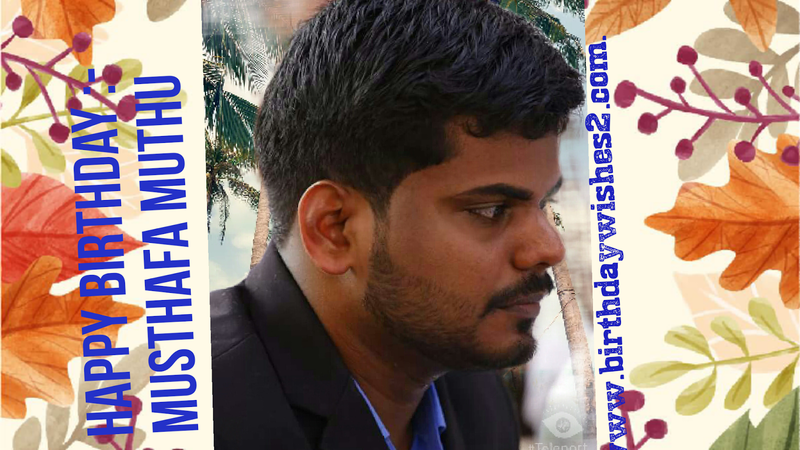 Musthafa Muthu is celebrating his 27th birthday today. He is working at IT. at GHSS Peruvallur. He living in Malappuram. 10th October 1990 is his birthday.